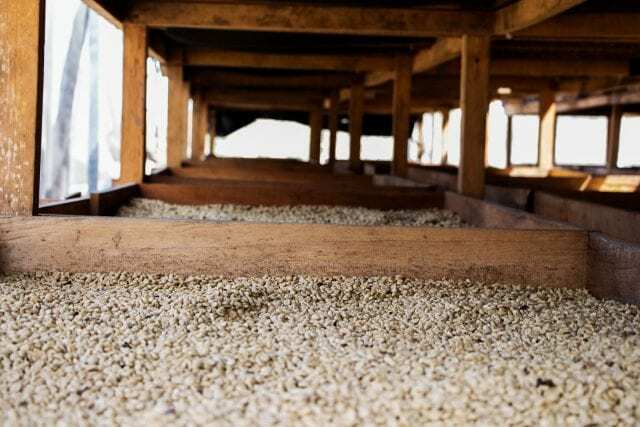 Home Coffee Production & Farming Micro Lot vs Macro Lot: What’s The Difference? 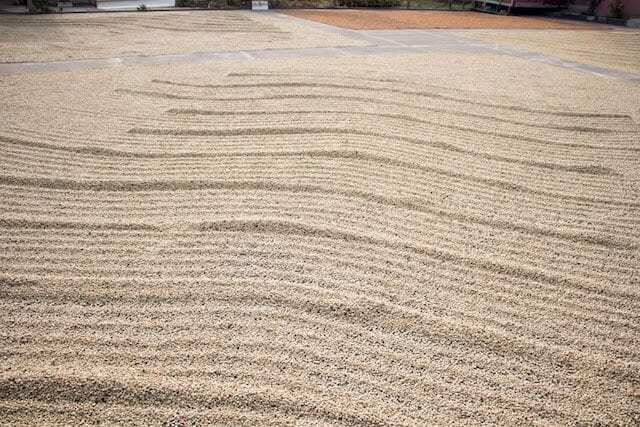 There are some pretty flexible definitions in coffee, and micro lots and macro lots (or community lots, as I like to refer to them) are among the terms that differ, depending on whom you ask. So, let’s consider: What are the differences between macro lots and micro lots? Are they of equal quality? And which one is right for whom—or are there times when one is the better choice? Spanish Version: Micro Lote vs Macro Lote: ¿Cuál es la diferencia? Many coffee people would agree with this idea—of a microlot being special. But implicit in that idea is the suggestion that community lots, while they may be good, are inferior . At Genuine Origin, where I’m the content and social media manager, our definitions are a bit different. Our micro lots represent smaller amounts of coffee, yes – we receive fewer boxes of them than we do of our community lots. And they’re delicious. But they’re not superior to our community lots. 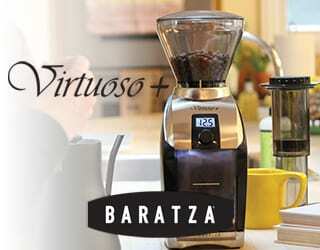 In our model, they simply serve two different functions – for us, and for the roasters who buy from us. Micro Lots & Macro Lots: What’s The Difference? A micro lot may represent one producer, or ten producers, or one portion of one producer’s farm – or several hundred producers, as is the case with many of our coffees from Uganda, Tanzania and Kenya, where most producers have very small parcels of land, or even just household gardens. Our teams select or create these lots because they’re delicious and unique — maybe circumstances of weather or fertilization or the age of the trees yielded something fascinating. Something that didn’t exist the year before and won’t exist the next year. We’re delighted to offer this so our customers, and their customers, can enjoy it. Looking for something special to offer for a short time? A micro lot can be just the thing. Community lots, or macro lots, by contrast, represent a flavor profile from a specific region and community of producers — maybe chocolate and cherry or floral and acidic. 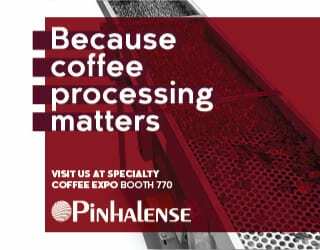 We bring together beans that we’re confident will create a specific profile that our customers will love and want to consistently sell year-round, year after year. 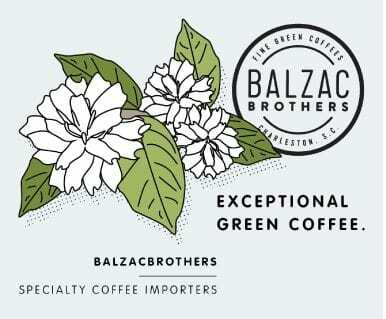 One year, 20 producers may enable us to create the profile; the next year, perhaps two plots are surprisingly floral – in which case, we may offer those two as a micro lot and create the community lot with the 18 producers, or the 18 plus four others whose coffees complement the profile. It’s never about sacrificing quality. 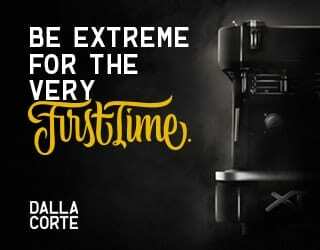 It’s about creating a coffee our customers can depend on. 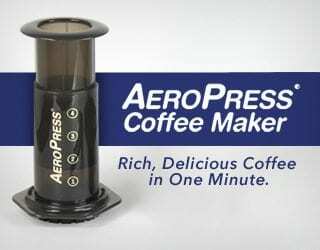 They can incorporate it into a blend or make it their house roast and never have to worry about it being unavailable. And for producers, knowing that we want to buy from them each year is a relief. But if for whatever reason a crop doesn’t meet an expectation — if weather, say, reduces yields, we’re not counting on any one person to come through for us. 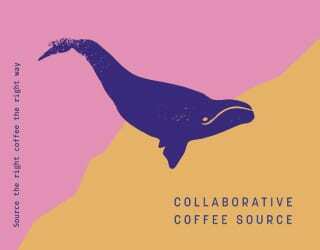 We can look to the whole community to ensure that coffee exists. A green buyer who enjoys the jasmine-like florals of Mata de Plátano, for example, could go to this region in Honduras and meet the community that works with our team to create this coffee. 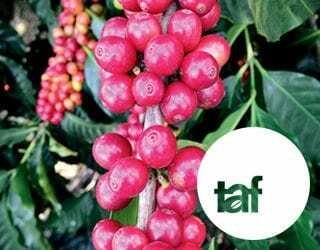 Will it be the exact same producers next year that contribute to this coffee? No. But the majority will be the same. It’s a community effort – a community lot . Also important to note is that there can be an implied idea in community lots that they’re of inferior quality because they’re “a mix” – that it’s unclear what’s in them or who contributed what. But with our community lots, we still know exactly who contributed, from where, how much and what the quality was. 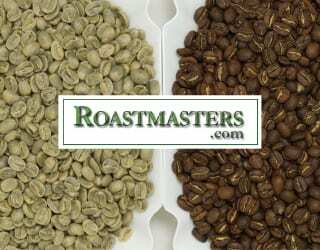 It’s information that we try our best to share on the factsheets that we create for each coffee. 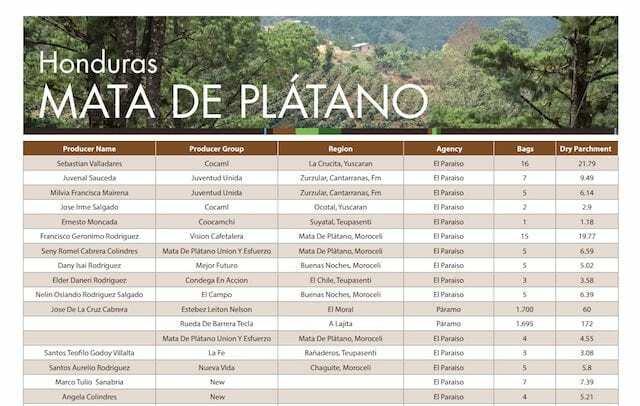 Screenshot from Genuine Origin’s Mata de Plátano community lot factsheet. We often hear about green buyers meeting with a producer and securing the purchase of his or her best lots. It makes the producer feel good — he or she has a buyer, which is a relief — and it makes the buyer feel cool about his or her connection to the farm and about doing good in the world. But there’s an artificial value in that idea. The suggestion is that the buyer is doing some good for the producer by cutting out middlemen and providing a fair price (never mind that this producer now needs to figure out how to unload the less prime lots on the farm). We can all wrap our heads around that idea, and how it feels good to put a face — sometimes literally — on a product. There’s a specialness being attached to the idea that a coffee attributable to an individual means the buyer “helped,” or supported, that person. Or maybe rather that the coffee is very, very good because it came from one person who we know the name of. There’s someone to attribute it to and to imagine caring for it, and that implies something about quality. But then what are we to make of places where farmers have far less land and fewer resources and could logistically never, ever sell their coffees as anything standalone? 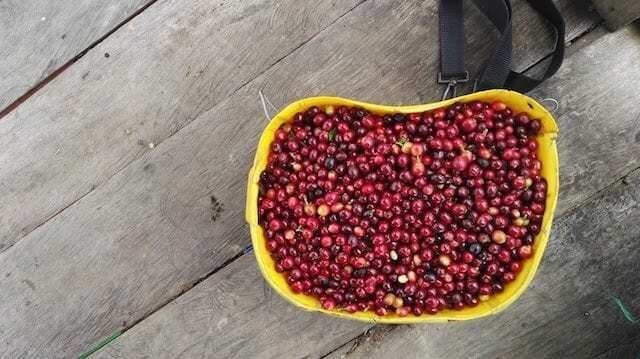 By the time the highest qualities are sorted from their production, off the one or two hectares they own, they don’t create enough coffee to logistically or affordably keep separate as a unique lot. Are we to believe that those people are less accountable, less good at what they do, less deserving of the income or appreciation? Of course not. But when we place more value, whether literally or emotionally, on coffees traceable to an individual, that’s what we’re doing. 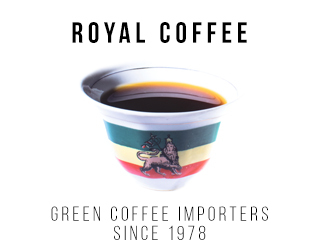 I believe, like the rest of the team at Genuine Origin, that our twin objectives should be to provide our customers with the best green coffee possible, as simply as possible, and that our partnerships with coffee-producing communities should allow them to thrive. 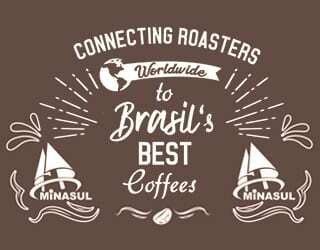 We take the latter as seriously as the former, for two reasons: If coffee communities don’t thrive, they’ll cease to be coffee communities and we’ll cease to have a product to sell. And further, it’s not possible to work with people and not care that they and their children are hungry. 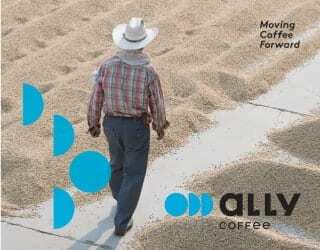 “If we buy coffee from one producer, does it help? 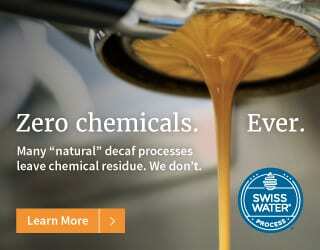 Yes, it helps that producer and his or her family,” says Teresa von Fuchs, formerly head of Sales and Marketing at Genuine Origin. Mitch Richmond, President Director of Volcafe in Indonesia, oversees Volkopi, Genuine Origin’s exporting sister company there. 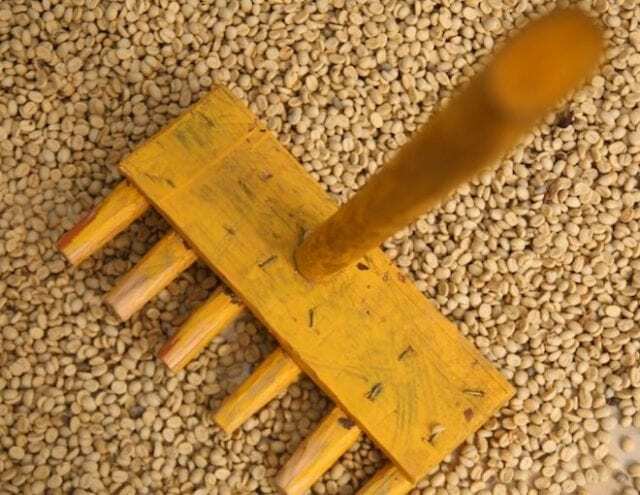 Volkopi purchases on a weekly basis from farmer groups, which consist of 20 to 40 farmers whose main income is coffee. One outcome of that trust was a project that entailed mapping all the varieties in the area of a single farmer group. How Can Community Lots Improve Market Access? 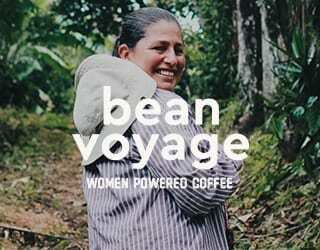 Similarly, in Guatemala, an estimated 98 percent of coffee producers are smallholders. 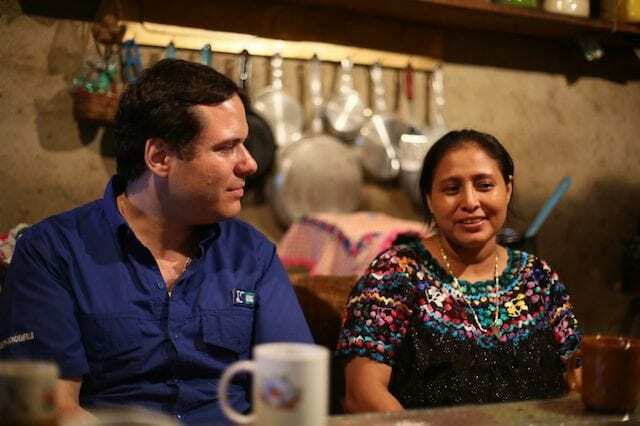 The challenges they face, explains Eduardo Cabrera, Purchase Manager at Waelti Schoenfeld, Genuine Origin’s sister exporter in Guatemala, range from low yields to limited access to markets, since many live in remote places with sometimes no access to roads. 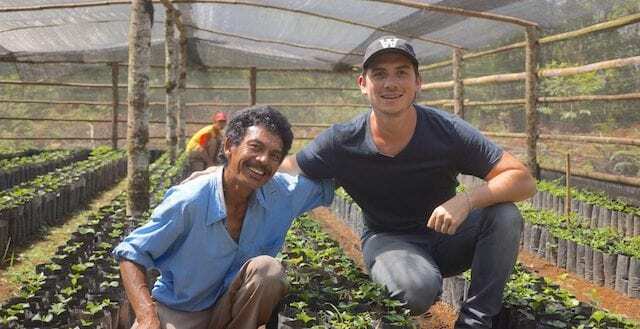 “For them to gain access to better markets and opportunities, it is very important that they change the way they have been selling their coffee in the past years. Unfortunately, for smallholders, many economic challenges stand between them and the ability to deliver their coffee to the final warehouse: Transportation of a small lot is expensive, payment sometimes takes more time and they have to wait for their whole harvesting to finish, among other factors,” Cabrera explains. “This is where community lots come into play. Producers are not individualists — they usually work together with friends and family, so why not consolidate as a group, where all of them will benefit?” Cabrera continues. “Transportation costs are reduced, quality is maintained and, most importantly, more people benefit from the transaction as they will reach better markets. Cabrera explains that Guatemalan coffee production is going through one of its most difficult moments ever. 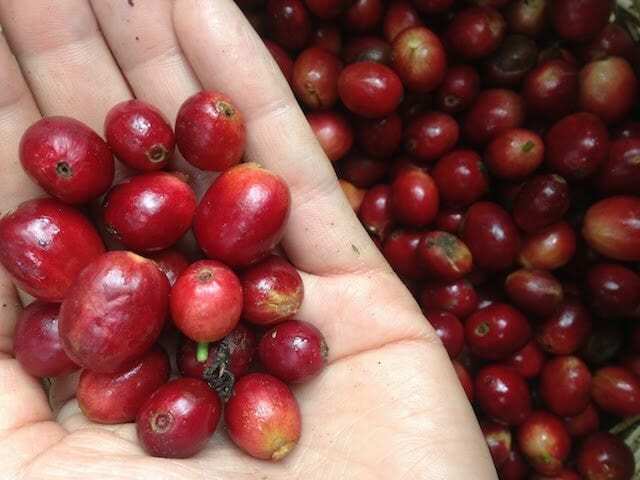 In addition to pricing challenges, producers are challenged by pests, such as coffee leaf rust/ la roya, as well as old coffee plants and the effects of changing climate conditions, including severe droughts over the last few years. “But as a country, we have a very important factor working in our favor: our producers! 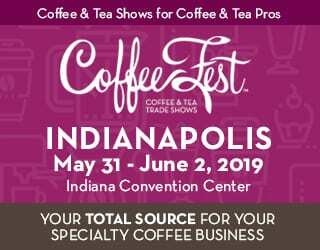 They are hard working, tenacious, sometimes even a bit stubborn, but very much in love with coffee and what coffee represents to the country,” says Cabrera. Which makes the larger coffee community, too, more sustainable — if not also very much in love with coffee and what it represents. Written by Michelle Maisto, the content and social media manager of Genuine Origin. Please note: A version of this was previously published on the Genuine Origin blog and was republished with permission.